All the latest News from the Marshall Aerospace and Defence Group Golf Society. Thank you to all of the participants that played in this year’s MAGS Ryder cup. 14 Southerners took on 14 golfers from the North, with 4 singles matches and 5 doubles. This year’s winners were the Southerners, by a score of 6-3, collecting the ‘Bob Ward’ Trophy for the third year running. 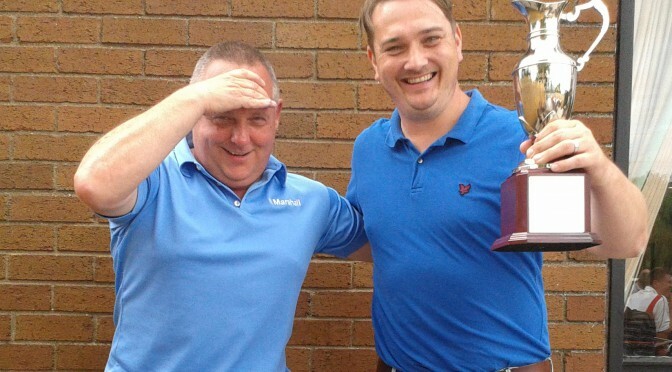 The 2014 MAG’s Ryder Cup will be captained by Paul Shaw (North) and Daniel Plaskett (South).